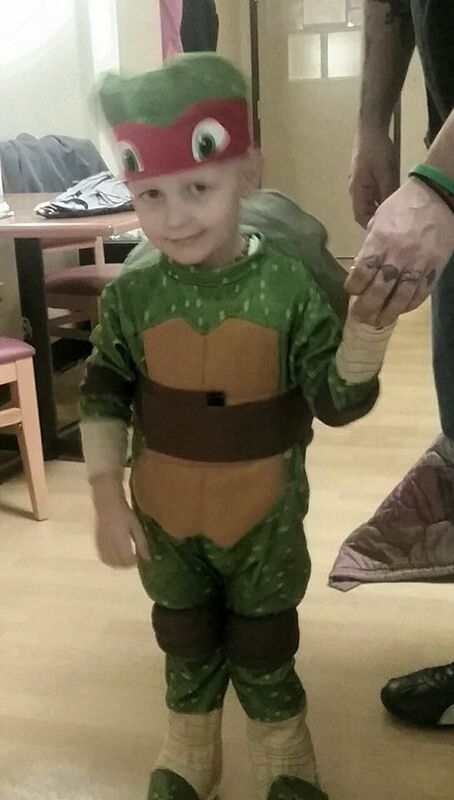 Fundraiser for Kathleen Clark by Kendra Chapman : Help Jace's Family Fight Cancer!! 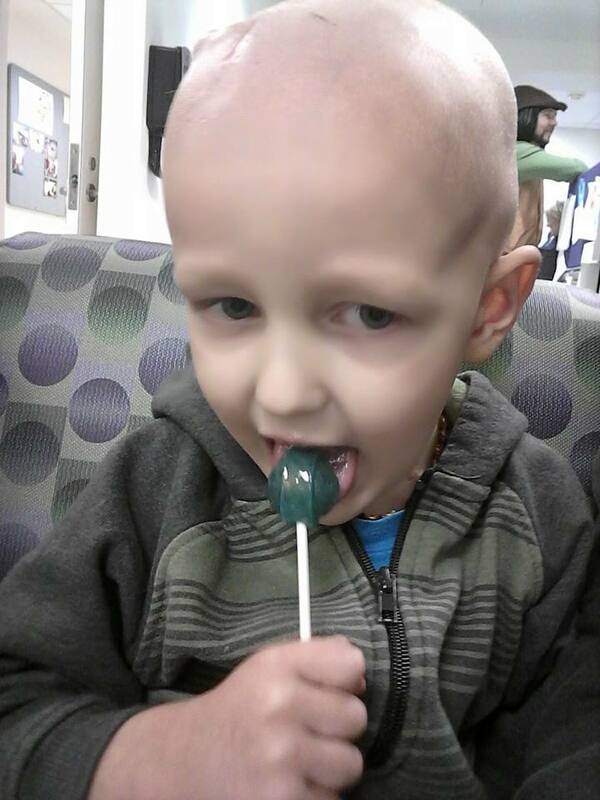 Help Jace's Family Fight Cancer!! 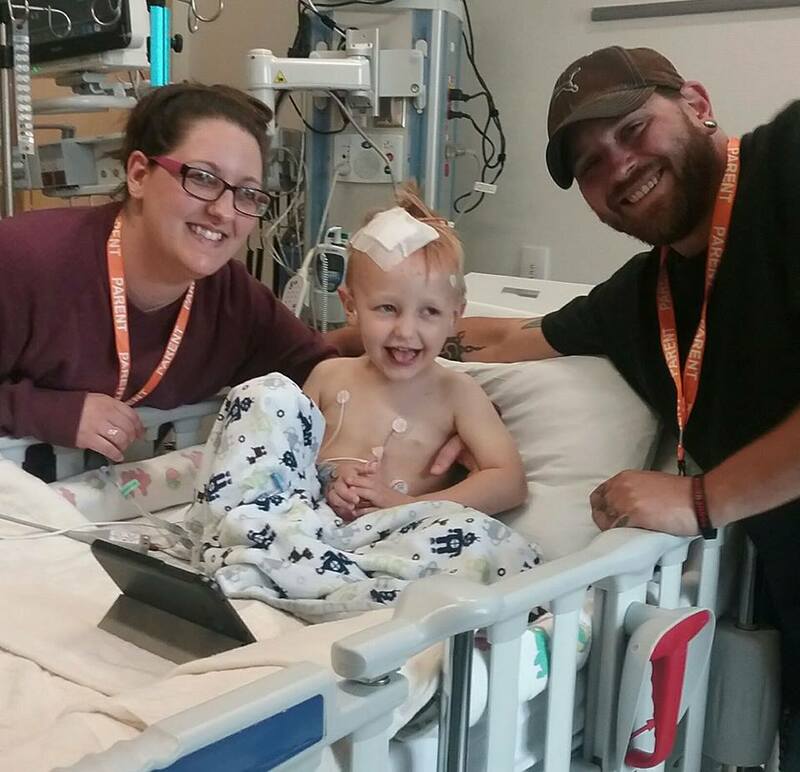 Jace was diagnosed with a brain tumor on August 30th and had a drainage tube placed to releive the pressure. On August 31st he went in for surgery to remove the tumor. He made it through his surgery and according to the surgeons, his was one of the most extensive cases Children's Hospital has seen. It took a team of 40 people to work out the surgical plan and 2 attending neurosurgeons and 13 other top-of-their-field support staff to work on this sweet baby boy. Unfortunately they were unable to get it all because some of it is entwined with his brain stem and too risky to remove surgically. 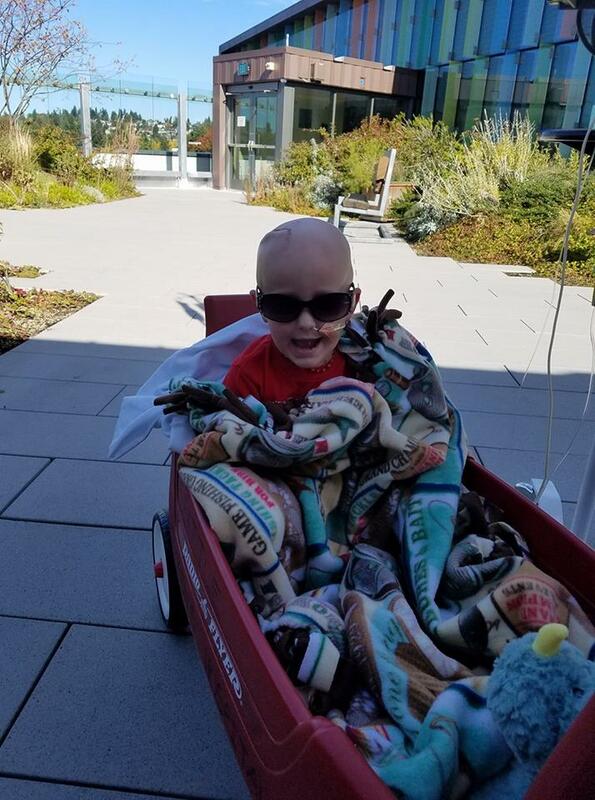 The doctors are working on a plan and Jace is going through further testing and speech therapy at this time to determine the plan for the rest of the tumor.Jace's mom and dad have been by his side day and night with no end in sight right now. With this comes a financial burden to the family. We are setting up this account in hopes to raise money for Jace and his family to help some of this burden so his mom and dad can continue to be by his side every step of the way. 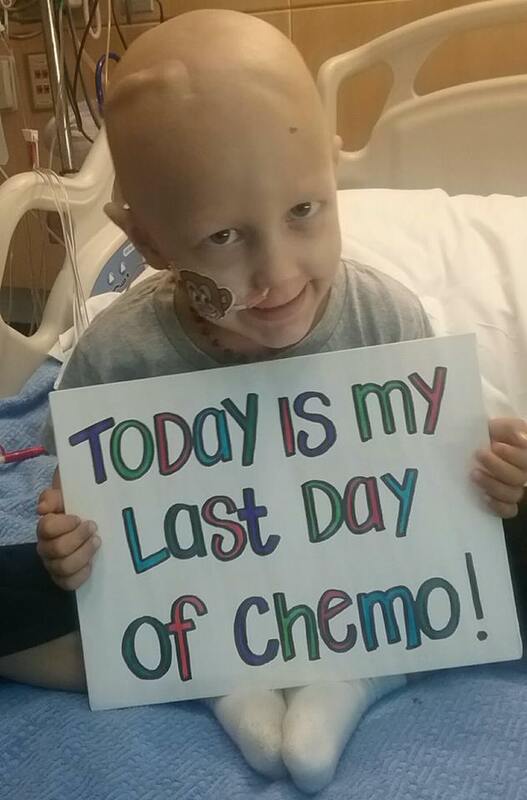 Today is Jace's last day of chemo!! Thank you to everyone that has been helping and continues to help this sweet little boy and his family!! MRI today showed that after three rounds of chemo, Jaces tumor has decreased in size ❤ Three more rounds of chemo and six weeks of radiation therapy to go! Enjoying a little fresh air. There will be a benefit garage sale November 10, 11 & 12th at 930 Commercial Street, Darrington, WA , 98241. 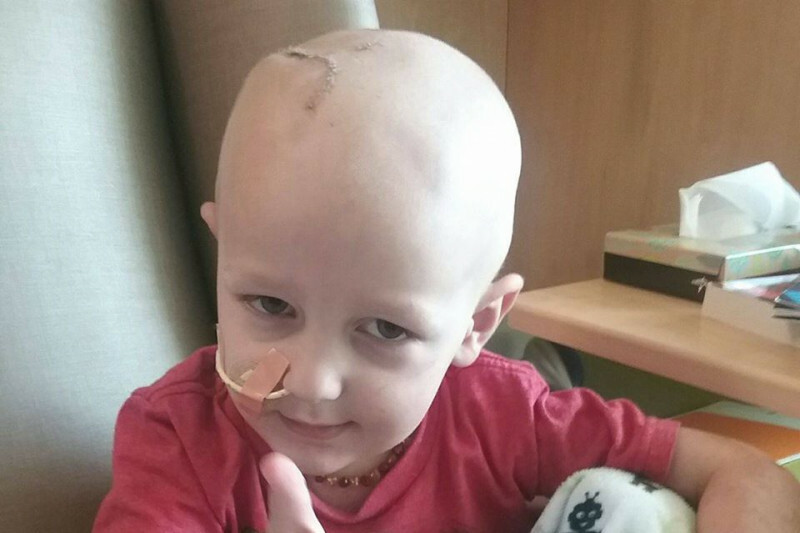 All funds raised will go to help Jace and his family to help ease the burden during this trying time.